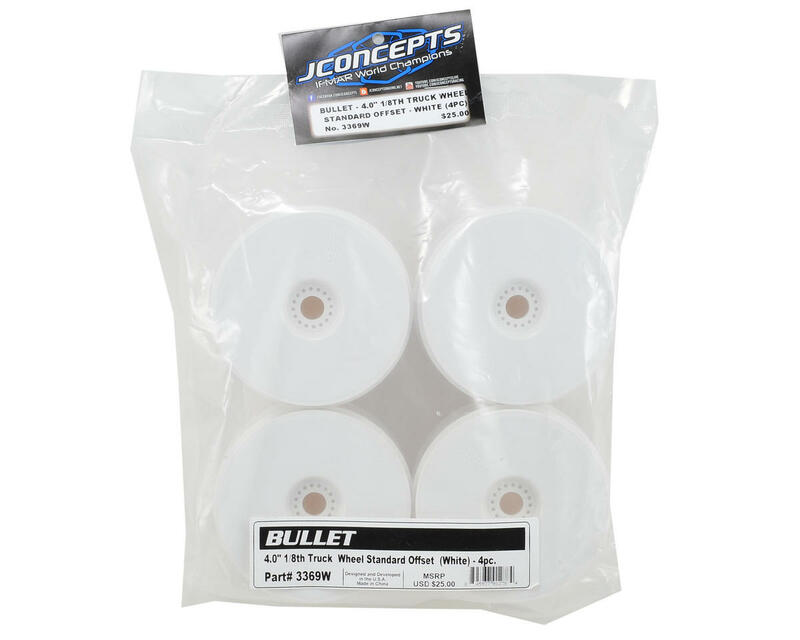 This is a pack of four JConcepts Bullet 4.0" Standard Offset 1/8 Truck Wheels. At the heart of the design is the 4.0” height bead which is has become standard for the 1/8th truck class. Leaving no detail untouched, the flat bead configuration provides elements that combine light-weight with performance. Utilizing an updated tire mounting bead, the 4.0” design eliminates the need for excess rubber and insert material, dropping overall weight, while simplifying the mounting / gluing contact patch and location. 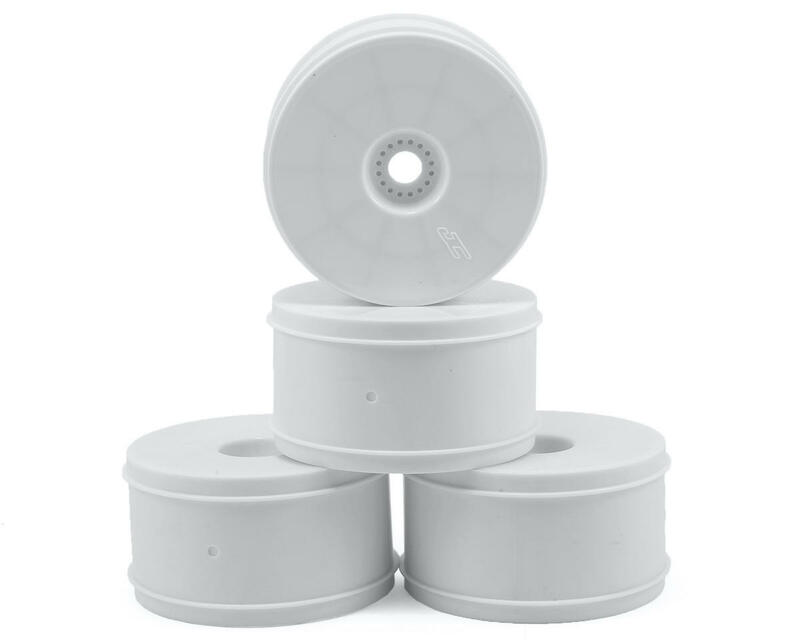 Available in bright white and fluorescent yellow the Bullet 4.0” wheel is manufactured in a durable material which is able to withstand the heavy rigors of 1/8th truck racing. 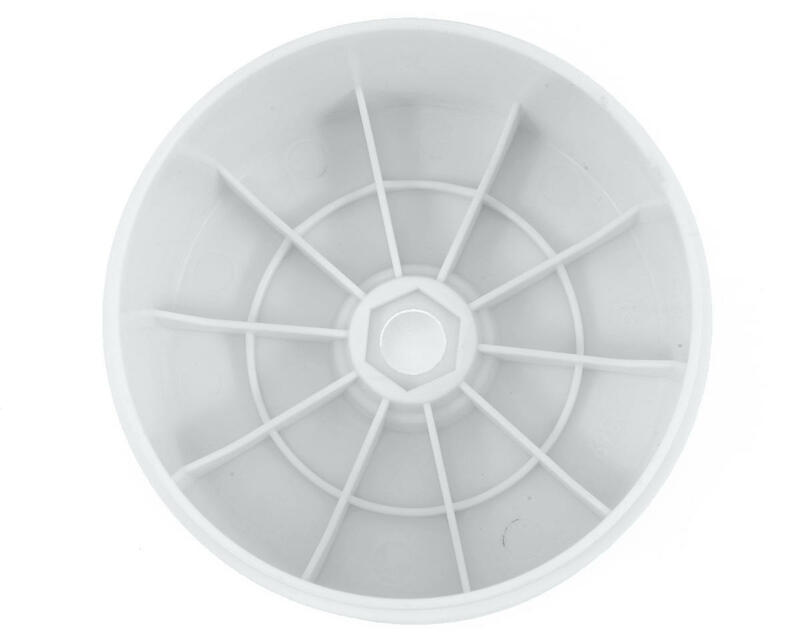 The Bullet wheels also incorporate a user friendly wheel face shaped to promote a smoother gluing, wiping and drying experience.